Milton Friedman was arguably the single most influential economist of the 20th-century. His influence, particularly on conservative politics in America and Great Britain, substantially helped – as both supporters and critics agree – to shape the global economy as it is today. 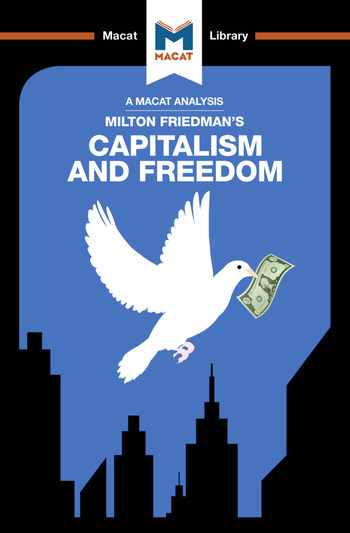 Capitalism and Freedom (1962) is a passionate but carefully reasoned summary of Friedman’s philosophy of political and economic freedom, and it has become perhaps his most directly influential work. Friedman’s argument focuses on the place of economic liberalism in society: in his view, free markets and personal economic freedom are absolutely necessary for true political freedom to exist. Freedom, for Friedman, is the ultimate good in a society – the marker and aim of true civilisation. And, crucially, he argues, real freedom is rarely aided by government. For Friedman, indeed, “the great advances of civilization, whether in architecture or painting, in science or literature, in industry or agriculture, have never come from centralized government”. Instead, he argues, they have always been produced by “minority views” flourishing in a social climate permitting variety and diversity.” In successive chapters, Friedman develops a well-structured line of reasoning emerging from this stance – leading him to some surprising conclusions that remain persuasive and influential more than 60 years on.